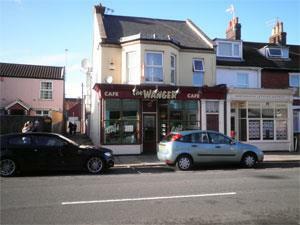 The Wanger01493 858694work CafeThe Wanger, Great Yarmouth, a family friendly cafe serving great tasting, value for money breakfasts and lunches and beverages. Takeaway available. A popular choice locally. The Wanger, Great Yarmouth, a family friendly cafe serving great tasting, value for money breakfasts and lunches and beverages. Takeaway available. A popular choice locally.